The first date incoming seniors will want to take advantage of for senior portraits this summer is June 8th , and the second date is July 26th . 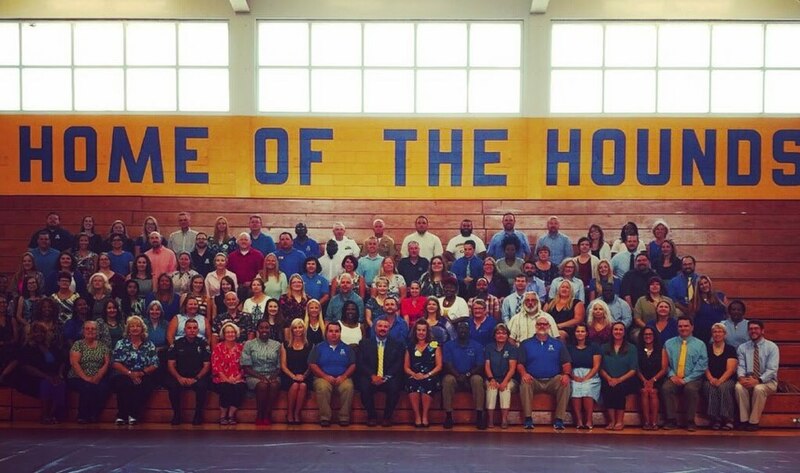 If you wait until September to take your picture you will not have an opportunity to make any changes! That’s because September is the retake date, and all senior pictures are scheduled over the summer to allow for more time with the photographer and let them choose their yearbook picture. If you don’t take your senior picture over the summer, you will only have the one taken on the retake date in September to use! Check out these photos of our very own HOSA’s end of the year banquet for the 2016-2017 school year! 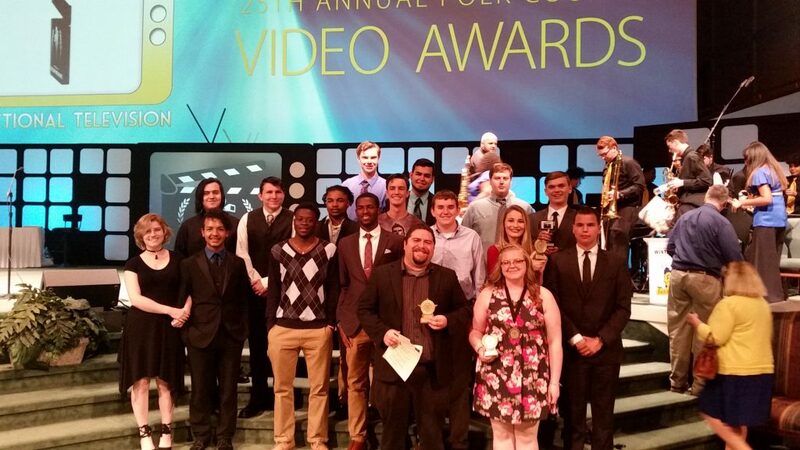 Congratulations to the AHS Digital Video Production program (HDTV) for winning Best High School Short Film at the annual Polk County Instructional Television Awards Ceremony in Lakeland! In addition to the Short Film WIN, the Bloodhounds also took home 6 additional nominations for the evening (including Instructional Academic Video, Announcing Team, and Commercial, among others), as well as getting an Outstanding Daily News Show award! On May 2, 2017, Auburndale High School presented their first College & Career Commitment Day, with seniors committing themselves to their future success in college, careers, and citizenship. They were able to hear words of inspiration from many of our community leaders, as well as former AHS principal, Mr. Ernest Joe. All printed applications, letters of recommendation, and transcripts are due to Mrs. Cook by Monday, May 8th! As a reminder, all essays must be emailed to the web address included in your application packet. If you have questions, please stop into College & Career. Victor “Ross” Persichetti has been accepted into, and received scholarship funding for SCAD, Savannah College of Art and Design’s, summer pre-college program! Tarik Graham has been accepted into Carnegie Mellon’s Summer Academy for Mathematics and Science, Massachusetts Institute of Technology’s MOSTEC, and Princeton’s LEDA. Tarik will be attending Princeton’s LEDA, Leadership Enterprise for a Diverse America summer program! 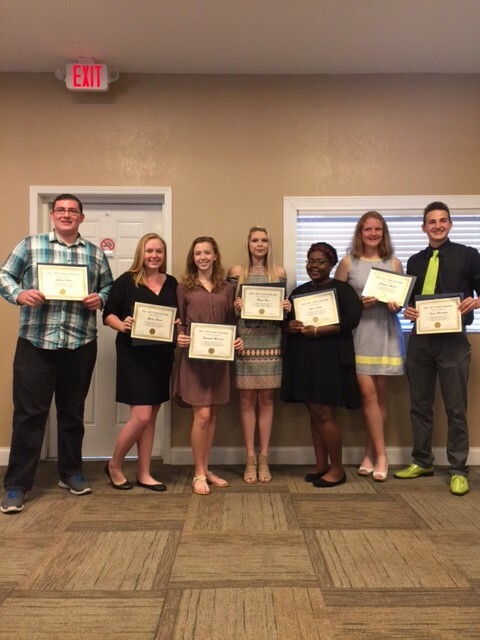 Thursday, April 27th, the Auburndale Senior High School’s Youth Chamber Leadership group Graduated! Dayna Carr, Savannah Horowitz, Abygayle Rausch, Jenica Louis, Ross Persichetti, Josh Curtin, and Hailey Fonner represented the high school and the community of Auburndale with class.